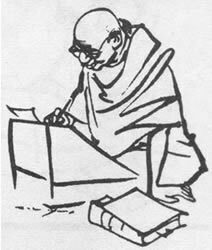 Below volumes form the revised - erroneous - version of the CWMG as published on the CD-Rom "Mahatma Gandhi - Interactive Multimedia - Electronic Book" in 1999. Page and volume nos. are not identical with the original print version of the 1960's-1990's.